Icard Merrill’s construction litigators are well known for their effective representation of clients in all stages of land development and construction projects. Our construction litigation practice serves the legal needs of construction companies, residential and commercial private owners, public owners, real estate developers, contractors, subcontractors, architects and other design professionals, and suppliers throughout Southwest Florida. We concentrate on limiting our clients’ financial and legal liabilities while preserving their construction objectives. Our construction litigators also provide representation before the Florida Division of Business and Professional Regulation Construction Industry Licensing Board and other administrative agencies. At Icard Merrill, we have access to an extensive network of industry experts — including mold specialists, architects, and engineers — to assist with the technical details often integral to construction law disputes. We work directly with these specialists to resolve each case in an efficient and effective manner. 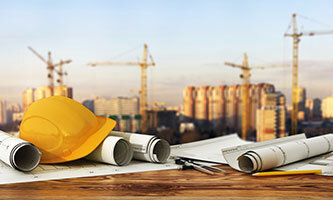 Our construction litigation attorneys regularly consult with other departments in our firm to fully address construction disputes involving highly specific topics, including regulatory environmental issues, real estate, labor and employment, and land use. To put Icard Merrill’s comprehensive approach to work for you, contact us today.